Collinsville High School senior, Brooke Oliver, has been named the instrumental winner of the Bartlesville Symphony Orchestra Young Artist Competition for 2018-2019. She performed, from memory, Concerto in D major by Mozart. 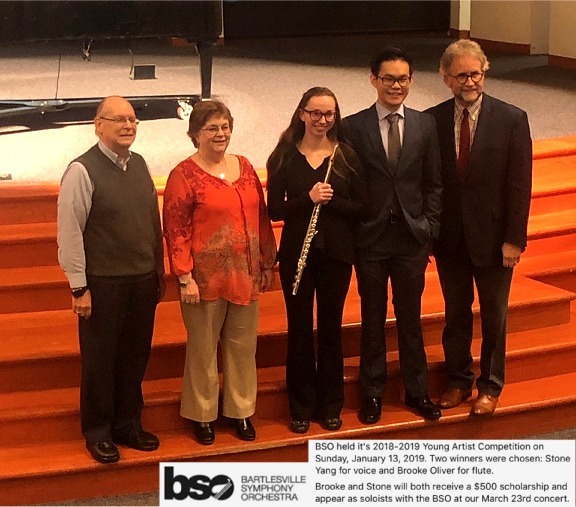 As a winner, she will receive a $500.00 scholarship and the opportunity to perform with the Bartlesville Symphony Orchestra on March 23, 2019. 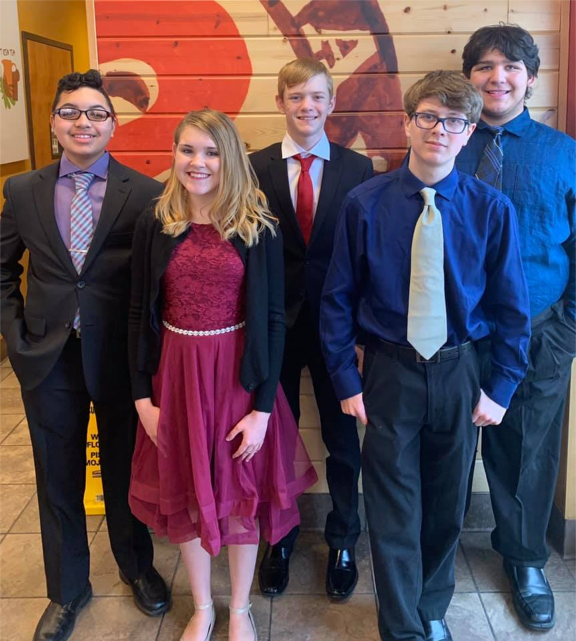 Pictured in photo L-R: Randy Thompson-Judge, Esther Fellows- Judge, Brooke Oliver- instrumental winner from Collinsville, Stone Yang- vocal winner from Bartlesville, and Lauren Green- BSO Conductor. 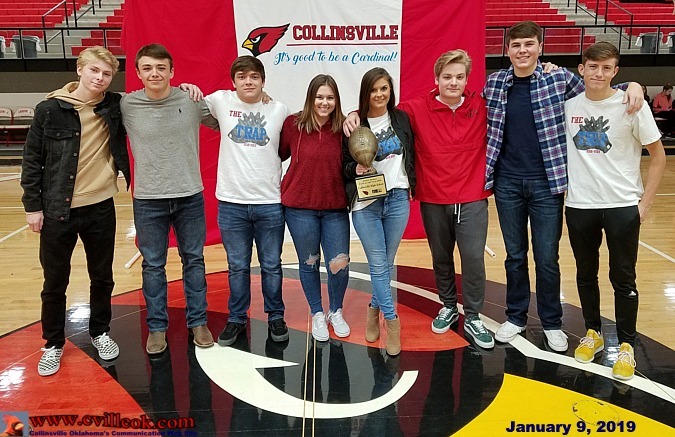 Heather Geller of Fox23 presented the Number One "Fans In The Stands" Winner (for the 2018 football season ... after being the weekly winner 9 straight weeks) to Collinsville HS's "The Trap" student section.